Have you ever made a Pop Up card? 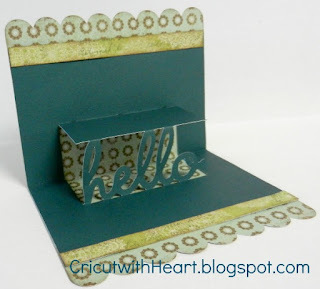 I have made many but none as easy as this "hello" card I made using the cricut. 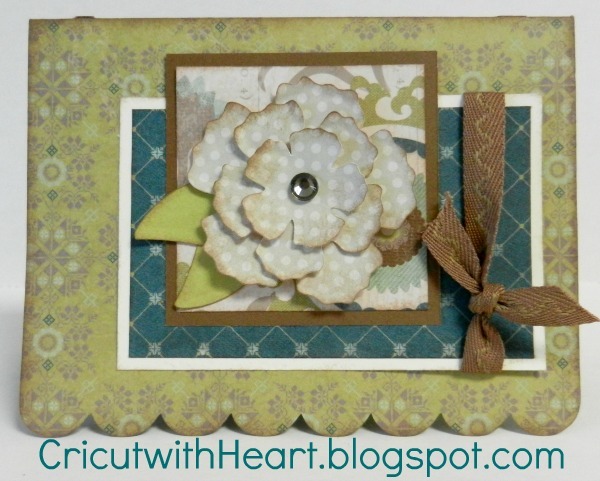 Two simple cuts and the card is ready to assemble! I used the Artiste Cartridge (page 51 cut at 5 1/2 inches) and the New Avonlea papers from CTMH. Very Pretty!! So glad CTMH came out w/another awesome cartridge! I love all the projects you have made, it's nice to see the cuts in action!! Can you give you cut sizes? ?